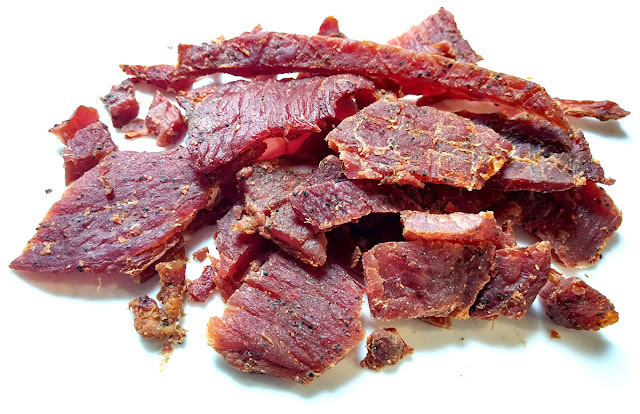 This Spicy Pork Jerky variety is described by Crooked Creek Farm as being similar to their Original Pork Jerky, but, "...made it spicy with a touch of red pepper", going on to include that it's made from 100% American hogs. Pork, water, brown sugar, sea salt, vinegar powder, celery juice powder, black pepper, red pepper, paprika, garlic powder. The first flavors I pick up are a faint sweet, touches of vinegar, and sparing amounts of black pepper. The chewing brings in a light salt and along with a bit more sweet. The natural meat flavors finally come on, and towards the end light spicy heat is noticeable. For being marketed as a "Spicy Pork Jerky" it delivers well. It's not hot by any means, but it certainly is spicy. That is, there's a light bit of heat in the background, just enough to make this jerky more interesting, without creating any kind of burn. Spicy food fanatics might see this mild, while most audiences will still find this tolerable. On our heat scale, this ranks as "mild medium" (level 2 out of 5). This Spicy Pork Jerky from Crooked Creek Farm brings out the natural goodness of fresh pork jerky with a clean flavor and chewing texture that's unmistakably "the other white meat". The spiciness in this remains light, just enough to feel a light heat without going into a burn. Otherwise, it's largely similar as the company's Original Pork Jerky we reviewed previously. 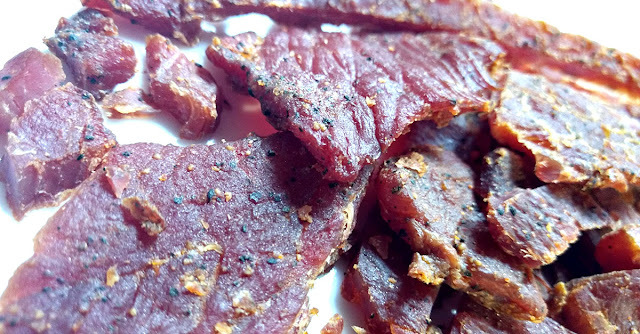 I love the clean and fresh character that this pork jerky delivers, and I love the meaty chewing texture that feels just like a pork chop. 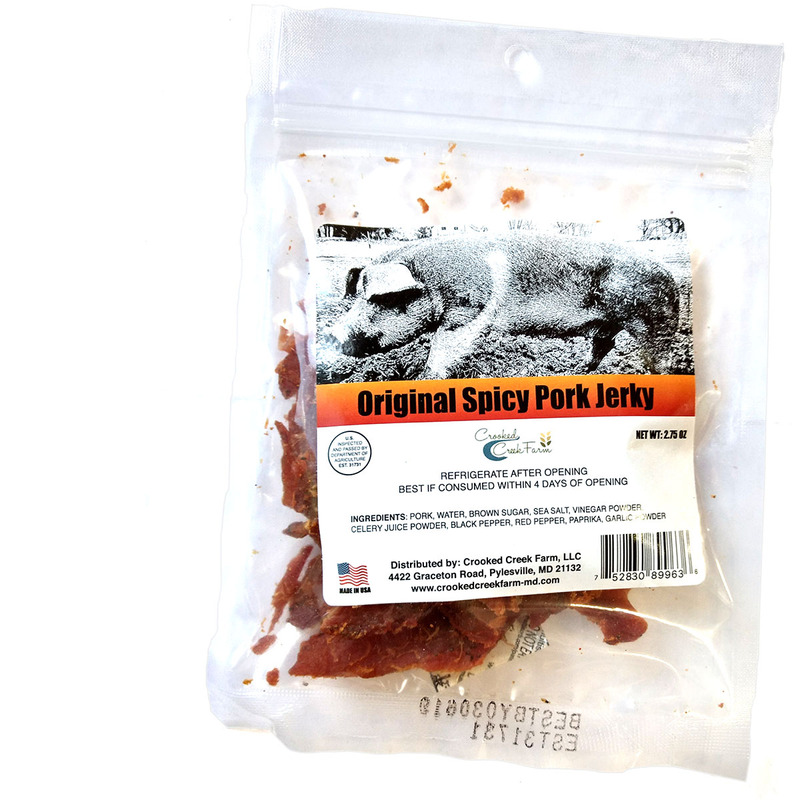 It's a natural style pork jerky that tastes and chews like its natural.